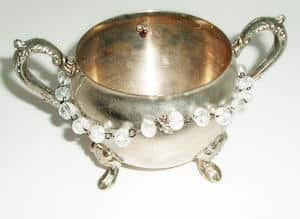 Flea market finds such as candlesticks, old cups, bowls and more become sassy silverplate sculptures! It's incredible how easy it is to drill holes in the vintage silver plate. 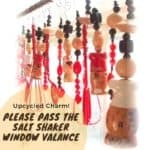 Drill holes into the lower rim of bowls or cups and attach upcycled jewelry, leftover findings and more to your liking. 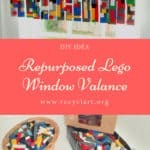 Make them customized with things that tell a personal story, or for a friend! 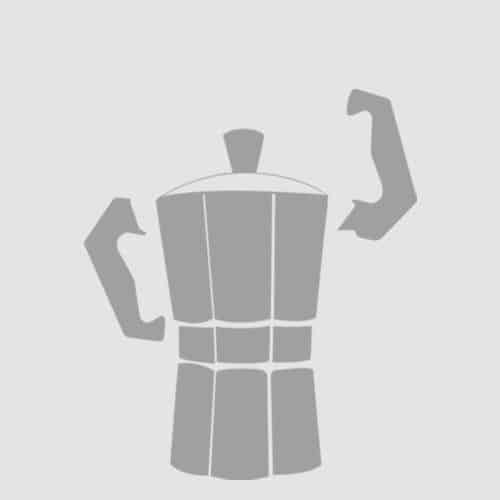 Upcycle those exciting finds from flea markets or swap meets into Silverplate Sculptures. Silverplate plate sugar bowls, cups, candlesticks, etc. It is stunning how easy it is to drill holes in the vintage silver plate. Just drill a few holes in the sugar bowl and attach a pretty chain necklace to the bowl. Then hook on necklaces and hang things from the necklace ends. If you want, you can add things that tell a story. 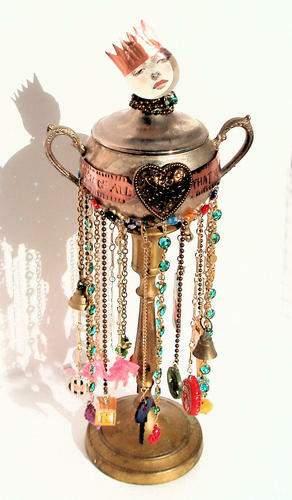 An old sugar bowl gets decked out with some pretty baubles. 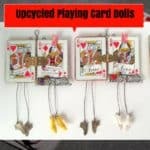 Customize and personalize your sculptures with upcycled necklaces and other things that are special. 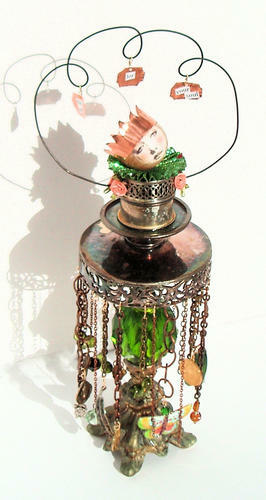 Add a doll head, and now those old silverplate leftovers from a bygone era become flapper dolls. 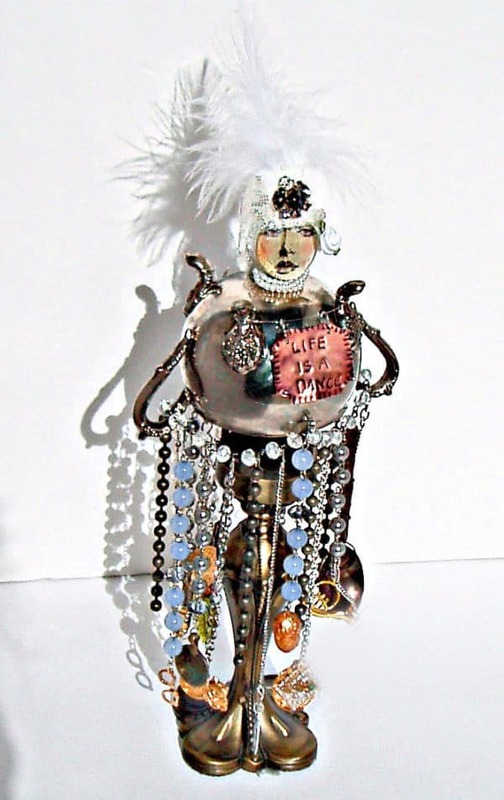 A candlestick and an old sugar bowl combine into a sassy, unique doll sculpture.